Having rendered the Cadillac ATS Wagon, we’ve now decided to show you how an ATS Convertible would look like. Starting with the 2015 ATS Coupe as the base, we gave the two-door, four-seater vert a black soft top and a light grey interior, while minimizing the amount of insulation (read: ugly black rubber) that can be found wrapping the A-pillar of GM’s various convertible models. We finished it all off with a light grey interior and gave the trim surrounding the top’s stowage space a chrome touch. Although it seems that The General has yet to make up its mind about whether to bring a convertible ATS to market, we would like to see such a model become reality — not only because we like the feeling of driving a drop-top, but also because it takes Caddy into a new (admittedly small but loyal) market where it currently does not compete in the slightest. So, what do you think: ATS Convertible — yay, or nay? Nice renderings guys. Makes the C&D ones look like kindergarteners drew them. I’ll be honest, I don’t like what I see. Maybe it’s because I was kinda let down by the ATS coupe; that I see too much of the coupe in the rendering and thus makes a potential drop-top ATS less appealing. I blame the donor car in the photos, but to be fair what else makes sense as a convertible? Take a coupe and cut the roof off, don’t use the ATS sedan. But I will say that I’m not against an ATS convertible. Maybe it’ll move me more than the ATS coupe did. What’s wrong with the ATS Coupe? I really like it! 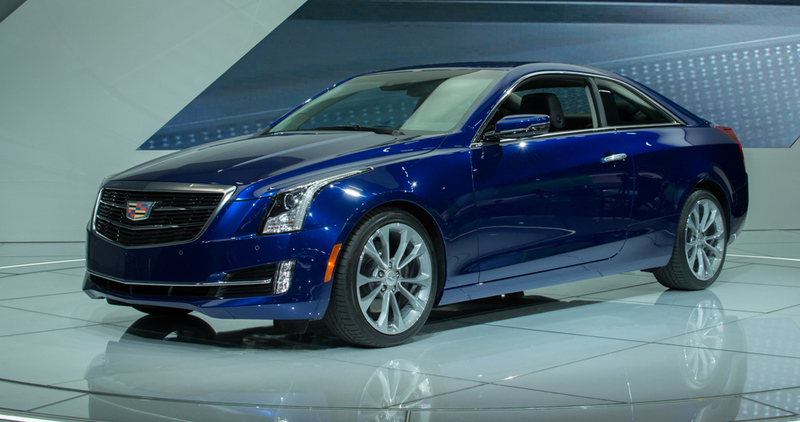 I guess I’m guilty of being someone who liked the CTS coupe and expected the same amount of ‘wow’ from the ATS coupe. Then again, all the CG press photos of the ATS coupe aren’t doing it for me. The ‘in the field’ photos make the ATS coupe look good in my opinion. Soft top is okay, but what about a retractable folding hardtop like the SLK-Class? Better yet, mull the convertible into an ATS-V+!!! I love it! I also want a Regal Convertible too! I wish you guys would stop doing this as generally you are way off majority of the time. If and when they do a convertible it will have more of it’s own sheet metal and the windshield header would not be that high. Just let GM show us what they will do and then we will judge. First of all, a convertible ATS will not have its own sheetmetal. That’s just common sense right there. I have to agree with Grawdaddy and scott on this. The upper lines such as windshield angle etc. just don’t cut it. A convertible will be a hottie and GM will show us a better rendering. I agree… I just don’t see this one making production. I agree with Cory & Paul, what’s up with the windshield frame header?? This can’t be the finished article can it? The rest of the car looks good. It’s not bad…. I know there’s more than a few who’ve mentioned they’re missing the XLR. I have been waiting for a GM luxury convertible for years. I currently own an Audi and before that a BMW. I hate sending my money overseas. So come on GM, build it. I’m sure you work out the minor design flaws. Make it a soft top, that’s why I didn’t get a new BMW. Would like Cadillac to go ahead with the ATS convertible. If they do, it could well be my next car. Manual transmission please.